Social Media has tilted the balance of power forever. Where Corporations could once simply ignore consumer complaints, that is much more risky now that we can spread our views virally – especially if the injured party has musical and video capabilities. Thanks to a comment left by Glenn Friesen, I visited his Twitter account, found him very interesting, checked out his latest Tweet and found this exceptional example of how consumers can now get their voices heard. The MyCustomer Customer Relationship Management Blog shared the music video of the song United Breaks Guitars written by musician Dave Carroll because his valid customer complaints were not taken seriously. The video below went viral on YouTube. It has already been viewed over 9 15,548,706 times (that’s 1.55 BILLION Views as of 1/28/16) and according to the MyCustomer story caused a $180 MILLION 10% drop in United Airlines stock value. What should have been an easily handled complaint turned into a Brand Nightmare for United Airlines – all because they ignored their responsibility to make good on intentional carelessness of their employees witnessed by the public. The video might have been the end of it, but the positive response from the public was so large that Dave expanded his commitment and made three music videos and ended up with a large online following on YouTube and Twitter. 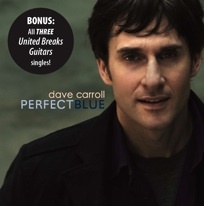 The second United Broke My Guitar video has already been seen over 1 million times and the third original United Breaks Guitars song and video can be seen on Dave’s site. In their blog there are examples of both bad customer service and companies doing the right thing, such as Air Cananda wheelchair incident where the airline took responsibility, found a 24 hour repair shop and then offered to fulfill a dream held by the injured party to make up for the trouble. Dave is working to create a better world by offering tips for how to constructively respond when you are on the receiving end of bad customer service. When you are frustrated with indifferent companies, follow Dave’s advice: Don’t get mad – get creative! Special mention to Taylor Guitars for recognizing the wisdom in making right what United Airlines would not: they gave Dave not one but TWO Taylor guitars – and thanks to Dave’s videos received a huge increase in visibility. They don’t appear t o have a blog but they are on Twitter. Like Dave’s music? Want to support Right Side of Right? Click on the image below to listen to more of Dave’s music. Yes, it can. But social media is also being censored, so depending on the topic “the masses” may not have as much power as they’d hoped. Also, social proof and search rankings are being manipulated to reduce that power. Social media is really powerful! Thank you for posting this article. I realized how someone like us can make a difference and be big enough to overcome greedy corporations that are totally unfair. Music plus social media is a very nice idea to hit those people and let the world know that we can always fight for the right thing. Thank you for enlightening me thru your article. I hope it’s still okay to comment even if this post was way back 2010. Do you think social media will grow bigger in the future way bigger than it is right now? Yes, social media keeps growing and I doubt that it will shrink unless giving control of the internet to an organization that includes repressive countries reduces our freedoms online. Over time, some social networks become less popular as people choose to spend more time elsewhere. Thanks for a good read! It’s definitely true that social media has turned the tables and the common person has much more access to people that were once unreachable. These were the good old days already! :- ) But I’m sure it came as a wake-up call to many corporations. The dictators took a bit more time. Social media has empowered the average person to have a strong voice. We will be listened to, we will be heard. Social media is powerful. It all depends on who is promoting what and when the customer should take a part of it. I like word of mouth -method because its often build on security that I say X to I, for example. Great story. Too bad that for every succesful action like this, there are 1000s of failures. I’m not trying to be negative. This number is already a lot better then before social media. It helps if your complaint goes viral. Instead of focussing on the bad, I rather focus on the good companies. That’s why I now love Turkish Airlines. They are cheap but so friendly and the service is great. Even Aeroflot is more expensive and their service s*cks. HAHA. Love that vid. Yeah this is great that he got 2 guitars out of the whole ordeal. Yeah massive corporations always think they’re untouchable. Glad to know that David toppled Goliath. With the use of social media, word of mouth is truly one powerful tool in buzz marketing where in can be have positive or negative effects on your business depending on how the customers reacted on your product or services. Therefore, it is always important to consider customers’ wants and demands. The power of social media cannot ever be belittled and when it comes with a song …the more the better! Dave you really quenched your anger and social responsibility that any individual should rightfully feel. Like you said, “By not getting mad; but by being creative!” You have really given food for thought and made big guns like United Airlines bend their knees! Bravo! Dave…this is the right way to go and the right way to be heard …your success is really sweet music to my ears! And interesting story as well, it just goes to show you that the internet is a great to for consumers, who have been wronged by corporations. Yeah that was right, it’s really important to build a distict reputation in our clients, because their great experience will be used as buzz marketing for our service or on products offered. Word of mouth is truly a powerful marketing tool. In business customers is the greatest factor in the success of a business. so learn to value your customer and so as your business. I agree with Alessandra. They should remember that customers are always right. they should satisfy there customer on there needs. This video was hillarious! 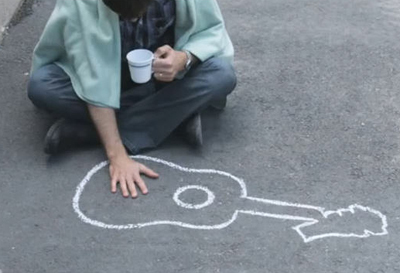 However, I can’t imagine what I’d do if someone broke my guitar! This is really sad the way United Airlines has reacted! Shame on them! Those companies don’t value their customers that much and they paid the price. Companies should have a tight relationship between their customers and should always treat them with great care. If they lose their customers, they also lose a part of their business. Power of social media has proved itself in unique way.Each verse of song has its definition in itself. We’ve been pondering that interesting addition to the top of your blog today. I hope you’ll become a regular reader and consider joining our blog collaboration (see link in CommentLuv). Those type of companies got what they deserve. Customers shouldn’t be treated that way. Those companies should know that their customers are also their boss in such a way. If customers don’t get the respect and service that they deserve, then why would they be loyal to the company at all? Companies should also keep in mind that without the customers, they won’t be in business at all. I too have had musical instruments slammed by airlines. Not United though. I think its the luck of the draw with the general amount of baggage they have to handle. I feel sorry for the handlers, they probably don’t get paid enough, it’s hard work and after you’ve heaved a million suitcases, it probably all becomes a bit of a blur. You could venture that Taylor guitars profiteered from this one a bit – but anyway the nugget here is that it’s truly inspiring that someone can stand up to the icewall of a giant corporation and break it down. It’s become quite commonplace it seems for big corps to show disrespect to the individual, and it’s good to know people aren’t powerless. Hopefully that teaches those big cheeses to respect their customers. I hope it hits them hard. I truly agree with you, socially media can now be used to spread our concerns and thoughts to the public. Therefore, it is really important to take care our customer’s trust and loyalty because word of mouth is truly powerful nowadays through the use of social media where in every consumers can now be heard. Competition in the business world is truly intense that is why it is essential to create a good reputation and apply creativity and innovation to the products endorsed to our target market in order that consumers would spread good news to their fellows. The power of one standing up and being accountable again has proven its value, great work on exposing United. It would be woinderful to see our politicians put under this kind of exposure when they don’t live up to their promises and out right lie to us. So important in the success of your business to maintain a positive image both on and offline, but in this case, more in the online space. To keep consumer trust and admiration, you have to gain it through positive consumer experience. Yeah, let’s make this world a better place! One act of random kindness can change the world to a better one. The idea of pay it forward does work. Larry has the perfect point. I believe in the power of word of mouth, it can be a very powerful tool especially if you have a business. In my opinion social media is a norm already a lot of companies and intitutions use social media to reach their target prospects. [Hi Mike. I don’t link to sites like yours because I choose not to encourage particular behaviors. Sorry. If you have any other sites you would like to link please do. Customer is really important when it comes to business. You really have to listen to their complaints. We have to be great in whatever we do. Anyway, thanks for sharing this with us. One of my favorites! The Pepsi one is right up there with this one. Just another great case study that your company NEEDS to monitor its brand, and NEEDS to be active in social media. My question is this: When will social media be the norm? It’s still so “taboo” for most companies which is soooo surprising, especially when you hear stories like the Guitar Guy circulating! And you know all the other airlines are now ramping up their customer service schooling for all employees. I’ve often publicly praise the 3 major entities I use online, hostgator hosting, Godaddy domain registration, and Aweber autoresponders. All awesome with the service. .-= Dennis Edell @ Direct Sales Marketing´s featured blog ..Update 1 – What DEDC is About =-. The customer is still king. Wow,just shows companies should take note and treat their customers with respect. After all without customers there would be no business. Patricia, am totally agreed with you. Generically speaking, all the businesses of the world (from multi-national to small businesses) are dependent on their potential customers around the globe. Good point. As much as companies want to have positive feedback from clients and customers, they should know better how to respond to their customer’s needs. Thanks to social media, now we could share our thoughts to the world about how we feel when some companies don’t treat their customers with better services. Yes, this idea is funny but this is true. The power of mouth can really do allot of things that make things twist. Gaining more income and most especially choose to speak God’s Word. Choose to agree with God. Choose to speak the Truth out of your mouth. Choose to release God’s power. The truth is, you are going to speak, so why not speak the Truth? Thank you for sharing your ideas. .-= Dan@Arlington DUI Lawyer´s featured blog ..Hello world! =-. This clearly shows the power of social media, I love this story. To be able to have such an impact from a 4:37 music video is just priceless. Not only did it effect United Airlines, it boosted his profile in the music industry, got himself 2 new guitars and started a movement to make things better. It just shows that customer service is just as important, if not more important, than it used to be. Funny, I never fly United (unless its part of a super cheap package) — the only airline that my family flys on is Southwest. Note that SW has its share of customer relations issues (they make FAT people buy 2 seats, yay for them). it just shows how technology can be both beneficial and not to companies. it would be much harder for huge companies to handle these attacks (especially if it’s from their consumers). But the good thing is that the more they realize this as a loop hole, the more jobs for social media strategists will be offered. Perhaps, this could be another milestone for online businesses, and to those who are just about to go online. This is exactly the example of the power of social media and the web. Companies can’t just ignore real complaints now. They need to solve them ASAP. I remember when I read about medieval history. Bards were not touched as they traveled from town to town or kingdom to kingdom. If they were, all the bards would sing songs of ridicule about the offender, just like this one. Re-inventing the wheel never sounded so good. .-= stephaniesuesansmith´s featured blog ..Rattlesnake Poop Is Orange =-. Companies should get smarter about their response on social media to negative comments / remarks. I have made a few comments (not necessarily negative) of companies, and the ones that respond (like GoDaddy did on Twitter when I had some web issues) are the ones that get my loyalty. The ones who ignore them (like CitiFinancial when I couldn’t get someone on the phone through their local branch or their main 800 number) don’t get my business at all. .-= Kristi@Blog Marketing´s featured blog ..Is the iPad Good for Blogging =-. We have always had more power than we realized in MOST industries – the power to decide who gets our business. That is not as easy when we’re talking about airlines and banks because there are fewer alternatives. Big banks are using the economy, politics and regulations to take over independent banks. There are bank takeovers in the U.S. and British Banks Auctions. Right now there are a few independent banks left that consumers could use but they are continually being absorbed by big banking. Compass Bank has been taking over local banks like Guarantee and was then acquired by Banco Bilbao of Spain. Wells Fargo just took over Wachovia. There ARE still independent community banks which you can find through that link. Do avoid Wells Fargo or at least read the fine print about the fees associated with their “free” checking accounts. If you don’t have enough money in your checking account to cover their mandatory automatic transfer of your money into your savings account they hit you with overdraft charges on BOTH accounts. Talk about a racket! We all need to be aware of this: America Falling to Foreign Bank Takeover. I agree that companies are no longer going to have the ability to ignore their customers any more. Sometimes, a simple apology and acknowledgement of a mistake is I need. I don’t need to be compensated most times, just assistance in doing the right thing or helping me resolve an issue, regardless of who, how, why, or what caused the issue. I do agree with Kristi about the ones who respond (like HostGator, both via online Chat and an actual 800 number where I got to talk to a human) get my loyalty, while companies who are too busy trying not to accept fault nor help resolve the issue (like GoDaddy) I walk away from. We’ve become a society where we are always looking for someone to blame rather than resolving the problem at hand. Finally the little people are taking action against these greedy corporate giants I really hope it hurts them and they start to listen to us… Their Customers! .-= Ron@Affiliate Marketing´s featured blog ..Making Money Blogging =-. Thanks for creating such a thorough article. I had seen Dave’s video thanks to Digg but I had not heard the story in such length and with so many supporting links… great job putting it together. Thank you Leslie. I make it a point to support the efforts of others who are working to make the world a better place – like Dave’s new site and his videos giving a voice to consumers. Posts like mine take a long time to complete, but I feel they are worth it. I love the photos in the Petco Blog and added a review for you on StumbleUpon that will be fed to Twitter, Facebook and FriendFeed too. Perhaps some of your authors would be interested in our blog collaborations. I see you are familiar with the use of KeywordLuv. Did you know you can feature one of your last ten blog posts by registering your blog with CommentLuv even if you don’t have the plugin installed? You can also register specific pages on your site so that you can feature them in CommentLuv-enabled blogs by adding CommentLuv Anchor Text Links to your account. If Petco decided to install the CommentLuv plugin I have no doubt that it would be wildly popular with the CommentLuv community – and a large percentage of CommentLuv bloggers welcome comments from those representing businesses. You can read more about it in the post I’ll feature in CommentLuv in this reply. Thank you very much! Kind and thorough indeed. I checked out BloggerLuv and it is a good site to use. I have a couple people in mind that would especially find it useful. Thanks! There was a similiar incident in the UK where a guy took to guitar and did a cover of a famous song (can’t remember the song now), but changed the words. It was basically a complaint against Lloyds TSB bank and it even got onto the national news! The public hold unbelievable power now due to the ease of information. Companies had better be careful. I suspect you mean this video: I fought the Lloyds Bank Charges Song by Oystar? Creativity definitely makes for a more compelling audience and if your issue goes viral you can finally get results. Multi-national Corporations have had everything their own way for far too long. It is about time the public got a voice. We could lose it though if we don’t watch out. Google and Verizon are trying to compromise our free Internet by deciding whose content we can receive how fast. We all need to stay aware of the challenges behind the Net Neutrality issue or we will wake up to a day when only those who can pay to stay online will have blogs.